potato seed stocks. The area's natural isolation, intense summer sun, high altitude vigor and sandy-loam soils are ideal for producing quality seed potatoes. from Colorado State University and has been an active member of the community both locally and nationally. The third generation of Brownell family is currently helping the operation continue to be a vibrant organization. Started in 1993, ZSC now specializes in certified seed production exclusively, with 16 varieties and 800+ acres of Nuclear to G4 potato seed. To maintain clean quality seed, ZSC operates its own micropropagation laboratory, climatically controlled growth room and two greenhouse facilities. Each seed lot is isolated by bin using bulkheads, in modern steel storage cellars with variable speed fans which are computer monitored. Strict sanitation has, and continues to be, a key to ZSC's success in both the greenhouse and the field. Mother plants for the greenhouse cuttings come from Colorado State University clone bank to ensure that they are free of disease and genetically pure. 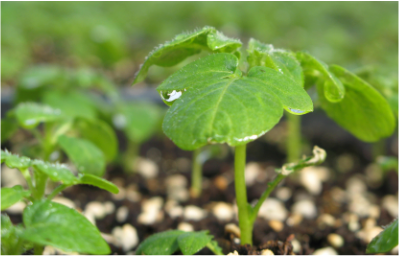 Each of the 110,000 plantlets required for a greenhouse crop is extensively inspected for any irregularity before planting or further cutting. Each greenhouse crop is visually tested twice and ELISA tests are run on tubers from each lot grown. In the field and cellars, all equipment is routinely washed and sterilized to prevent spread of pathogen from field to field or lot to lot. Crops are kept healthy and maintain well in storage by complying with a strict IPM regimen including soil grid sampling, seed treatment, intense field scouting, strict scheduling of pesticides and low fertilizer inputs. While experienced roguing crews help eliminate diseased plants and early kill of potatoes prevents late season spread of insect borne diseases. For the last 15 years ZSC has been adding beneficial fungal and bacterial micro-organisms to the soil with compost and compost teas. Also the addition of green manure crops into the crop rotation provides an extra level of disease suppression while significantly reducing water usage and improving overall soil health. ZSC is a licensed grower of Colorado Norkotah lines and Texas Norkotah lines along with PVMI varieties including various experimental lines for evaluation and possible future production. We offer custom minituber and variety production as well as custom seed cutting. Seed stocks are sold in Colorado, Texas, Idaho, North Dakota, Washington, Oregon, California, Nebraska, Kansas, Wyoming, New Mexico and Wisconsin.